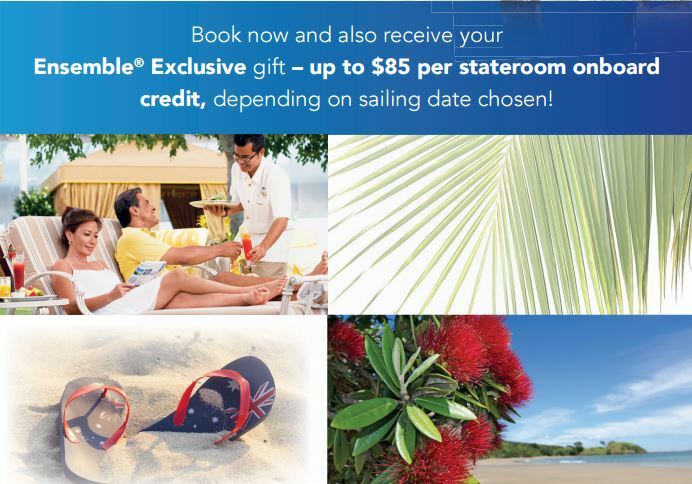 Hello to our cruise clients! 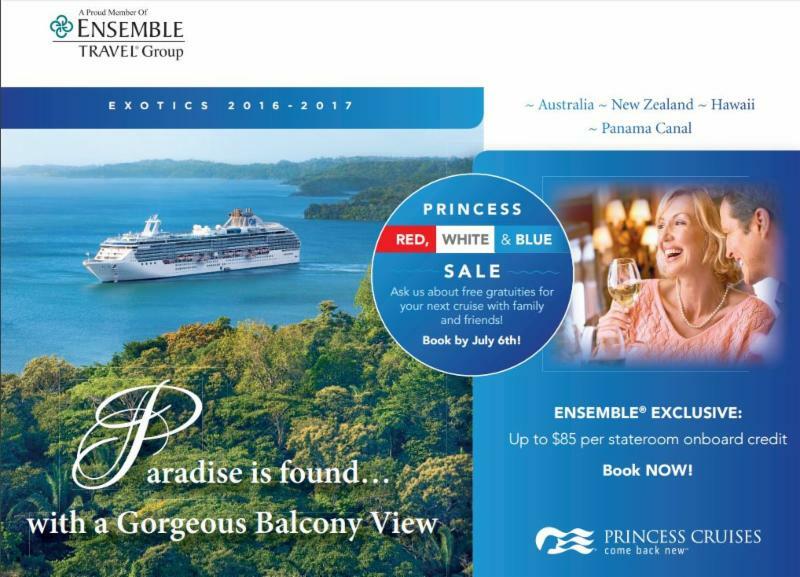 If you have been considering an exotic Princess Cruise within the next 18 months, now would be a great time to book, with incredible fares and added amenities. Call for more details! Epic landscapes, colorful cultures and laid-back charm – experience it all with a cruise to Australia. Visit golden beaches, rugged outback, world-class cities and beyond. Escape to New Zealand, where Māori legends, steaming volcanic lakes, penguins and hobbits add to the magical landscape. Travel to the top-rated Hawaiian islands – Maui, Oahu, Kauai and the Big Island. Discover each island’s unique charm and fall in love with Hawaii’s enchanting beauty. Or cruise the Panama Canal, a man-made colossal marvel. Sail between two mighty oceans and see for yourself why Condé Nast Traveler named it among its top “Where To Go” attractions. View some of the most breathtaking scenery in exotic locales from your balcony overlooking the sea. You’ll find everything you could dream of onboard your ship, from pampering at the Lotus Spa, to enrichment lectures and cooking demonstrations at the ScholarShip@Sea program, to Stargazing with Discovery at Sea. Savor sumptuous gourmet dining with your choice of Traditional Dining or fl exible Anytime Dining, plus hand-tossed pizza, regional specialties and Norman Love Chocolate sensations. And enjoy world class entertainment before you experience the ultimate sleep at sea – in a Princess Luxury Bed.